It's incredibly frustrating when you want to play Region 1 (US) on Region 2 (UK) or Region 6 (China), for every DVD player is designed to serve only one region DVD. That's to say, the DVD drive on your Mac purely recognizes the region code of the 1st DVD you insert into it and after that you solely have another 4 times to change DVD region code. Four times to unlock DVD region on Mac, enough? It depends. Different strokes for different folks. Below will list out the effective solutions for different users to set region code so as to let you watch DVD multi region free on Mac. 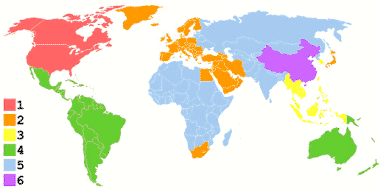 If you are the one who like foreign films a lot and buy a wealth of DVD disc from different parts of the world, then the most suitable solution is to change DVD region to region ZERO, which means DVD movie with no regional code. To make DVD region free on Mac, it's advisable to remove region code from DVDs and copy DVD movie to digital video format. Thus, you can free play any DVD movie without any region code troubles. Well, question is that: how to remove region code and make a digital copy of DVD movies? Quite simple. Resort to the world-class MacX DVD Ripper Pro, which can aid you to remove any DVD region code, be region code from 1 to 6, and copy DVD movies to ISO image, MKV file, MPEG-2 file format, MP4, MOV, AVI, VOB, FLV, etc. with all quality intact. Then, you can play any DVD movie anywhere without any DVD drive, DVD player region issues any more. Among its many talents, the DVD decrypting tech of this DVD ripper is also worth a mention. See, no matter your Disney DVD or Sony DVD copyright protected with CSS, RCE, UOPs, or Sony ARccOS, Disney Fake, this DVD region code killer also enables to sweep away all of them without any third party help, all thanks to its constantly decrypting tech updates. How to Change DVD Region Code to Region Zero and Copy DVD to Digital Format? 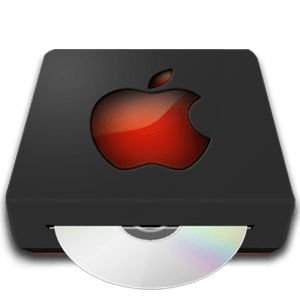 Free download this high-end DVD copy software on Mac, click "DVD Disc" button to import the DVD movie you want to copy (any type of DVD disc is accepted, region code 1-6 included). 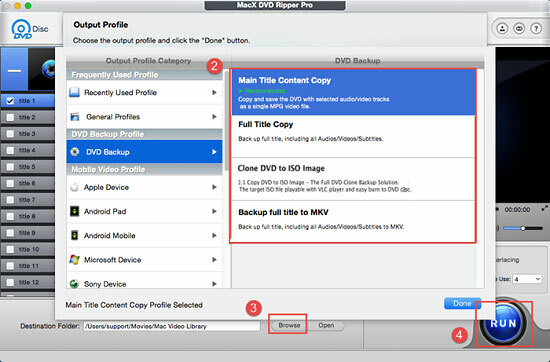 To copy DVD on Mac OS X, you can go DVD Backup and select "Clone DVD to ISO Image" or "Main/Full Title Copy" mode as the picture shows. Click "RUN" to start copying DVD on your MacBook Pro/Air or iMac. The whole copying process will accomplish within a fraction of seconds, and then can sync the converted movies to iPhone iPad with MacX MediaTrans. For infrequent multi region users, the rest 4 times region code change chance is seemingly enough for you. Thus, you can change DVD region on Mac far easier and play multi region DVD with VLC player. How to make this happen? Read on please. 1Insert the DVD disc with a different region code from the one of your drive. Then pop up a windows with the message "You need to select the region for your DVD drive". 2Choose "Change Drive Region to" according to your specific needs. Followed by the Cntl + Click on the DVD Player icon, hold down the Option/Alt key and then click Force Quit in case of DVD movie playback. 3Download VLC on your Mac computer, fire it up, and then select File > Open Disc > Select DVD disc > Opt for device > OK > Done. VLC media player begins to playback your multi region DVD on Mac. For hard-core region switchers, the ultimate solution goes to a region free drive for your Mac computer. You might adore Windows PC users who has numerous utilities out there for them to make region free drive. Here also comes the hope for you Mac users. That is applying some technological skills to remove the RPC-2 firmware and replace with RPC-1 firmware for your Mac drive. Then you will get the region free drive on your Mac OS. Things you need to pay attention are that you ought to take the risks into consideration, not always workable on all your Mac computers or drives and that this conduct is also regarded as illegal, to some extent. Hence, think twice before you leap. Wanna remove scratches from DVD? Read this! These are the best ways to fix scratched DVD easily, including DVD scratch remover software, home remedies. Region code bothers you again? Here comes the solution to convert DVD region code on Mac for you to play region free DVD on MacBook Pro/Air, iMac with ease.